An operating system's default security measures are never enough if you wish to keep your private data secure. An excellent solution is Hider, which is capable of keeping any data safe, from simple notes to entire folders. Besides protecting your files with the AES-256 encryption algorithm, the application will hide them as well, so finding your data will be another serious challenge for anyone who wants to steal your personal files. When launched for the first time, Hider will guide you through a few initial settings, to create a vault. The interesting design of the user interface, with its neat animations, can help you think of this application as a digital vault. 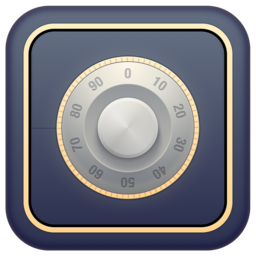 For example, when you type your master password, to access your vault, a numbered dial will spin just like on a safe's door. All you have to do is drag and drop your files or folders over Hider's main user interface and the application will encrypt and hide them immediately. Even if you set the operating system to show hidden objects, the protected data won't show up. Hidden files and folders are displayed in a list, along with hide/unhide toggles. You may click these toggles to hide or unhide individual items or select an option in the lower right corner of the window, to perform these actions on all items or on selected ones. Besides protecting files and folders, the application allows you to create secure notes and group them just like your files. Protected files and folders can be organized in separate groups, which you may create in a column, on the left side of the user interface. Besides making your vault more tidy, groups also give you a new method of targeting and hiding or unhiding data. For example, you may create a group for items that belong to a complex project and hide or reveal everything with only two clicks. Another useful feature is Hider's support for external devices. In other words, the application is capable of encrypting and hiding data, even if it is on a USB drive, which adds an extra layer of protection. A particularly useful feature, which can be activated in the general settings panel, is the menu bar assistant. If activated, you will be able to hide and unhide your protected data from a compact menu, in the upper right corner of the screen, without running the application and accessing its user interface. Of course, the application will still ask you to insert your password, in this menu, for obvious reasons. 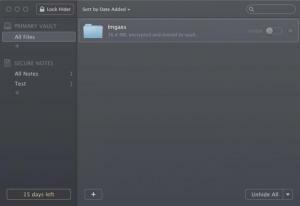 Hider can encrypt and hide any data on your Mac. Its controls are simple and very easy to understand. Also, the smart design of the user interface makes this application quite comfortable. With Hider's smart and straightforward functionality, you can secure any data at a moment's notice. You can download Hider free here.